The Delpro Reverse Roll Coater enables very high viscosity coatings to be applied at coat weights from 10 to 200gsm wet with the same coating set up. A superb quality coating can be achieved with a glass-like smooth surface, completely independent of the calliper or absorbency of the substrate. 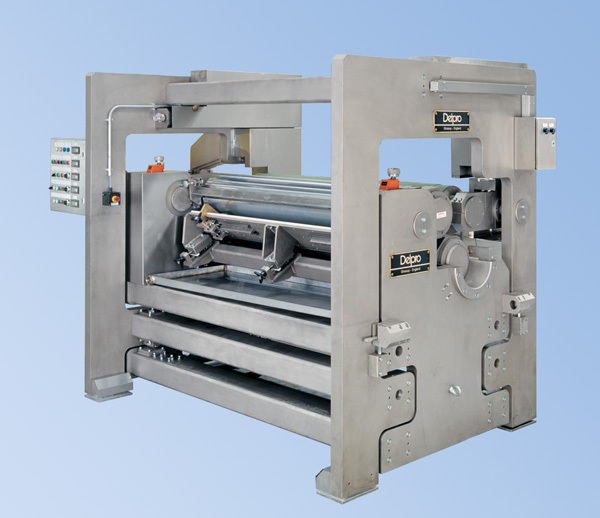 Trolley based rolls for ease of change of coating rolls, or system and sleeve based applicator roll for ease of change of width.